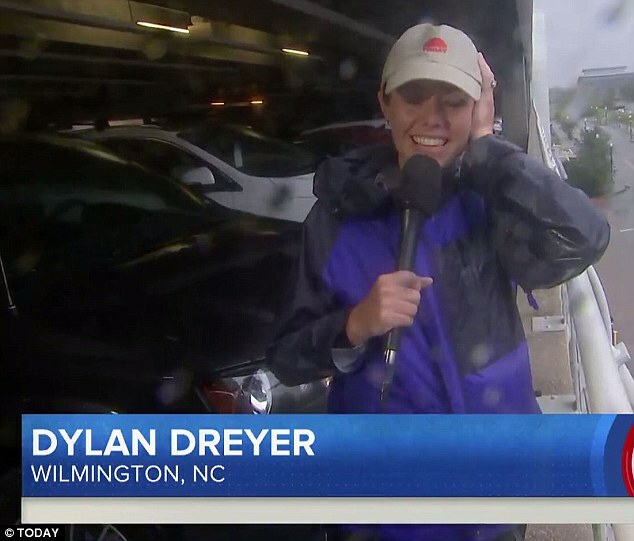 Dylan is on the scene in Wilmington, North Carolina, where she is braving heavy rains to report on Hurricane Florence. 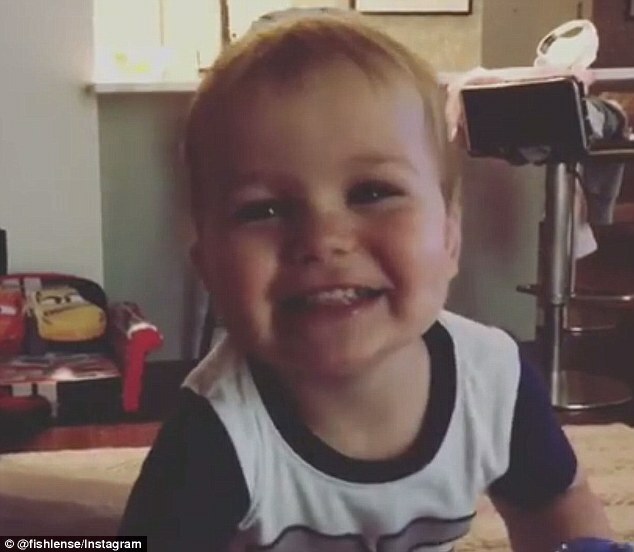 Calvin’s dad, Brian Fichera, was at home with him on Friday morning and captured the little boy on video. 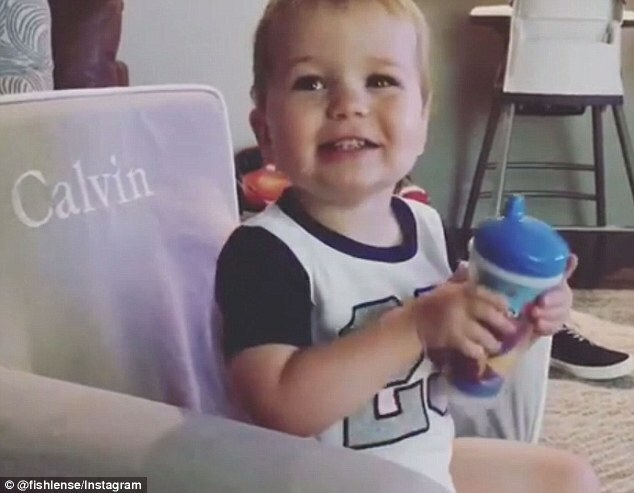 Calvin is sitting in a blush baby chair with his name on it, watching his mom report on the storm, when he turned to Brian. 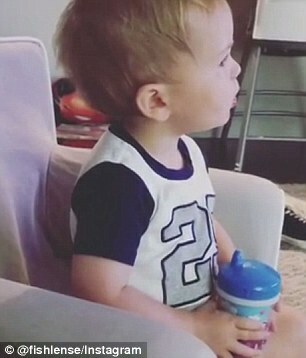 ‘Mommy crying?’ he asked, holding a cartoon sippy cup in his hands. The little boy giggled and happily went back to his sippy cup. 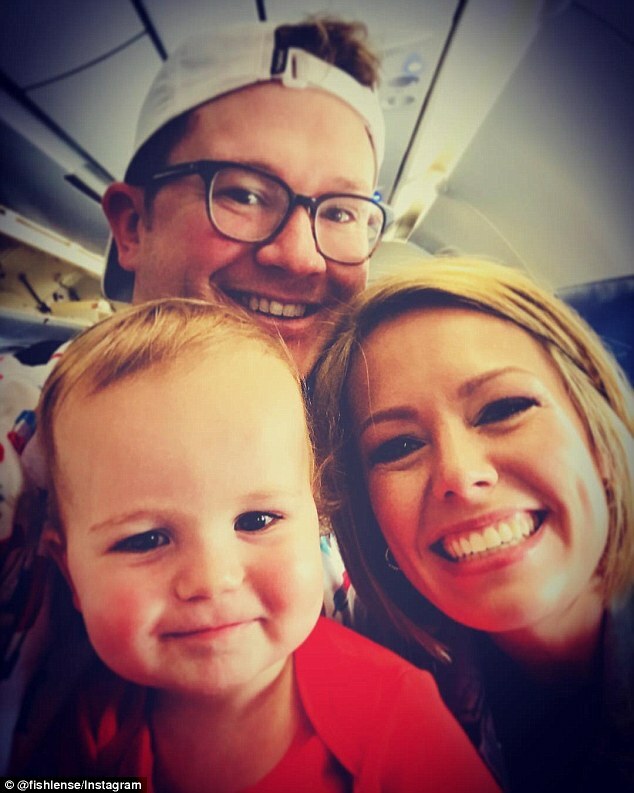 Dylan left for Wilmington on Monday, taking a Gulfstream IV from Florida to cover the weather. 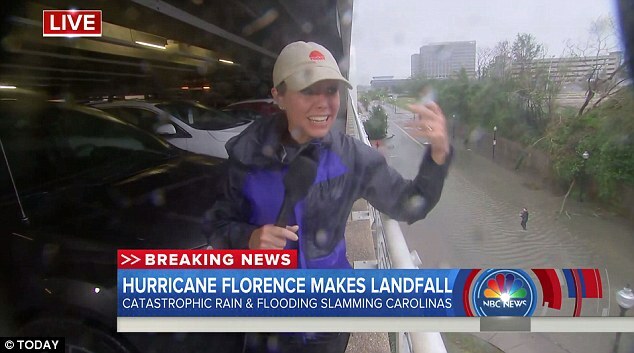 ‘As a meteorologist, this is the opportunity of a lifetime!’ she wrote on Instagram. 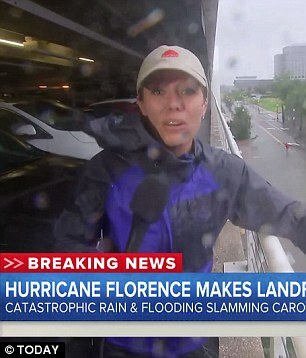 Florence made landfall near Wrightsville Beach, North Carolina, at 7.15am this morning. 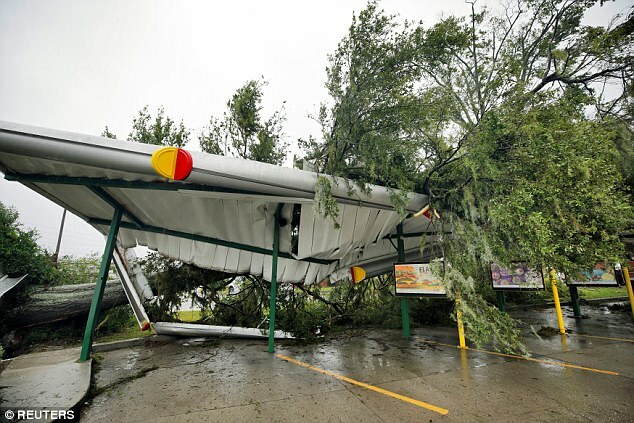 At least 26,000 people sought refuge in shelters in the state, and 625,000 homes and businesses were reported to be without power. 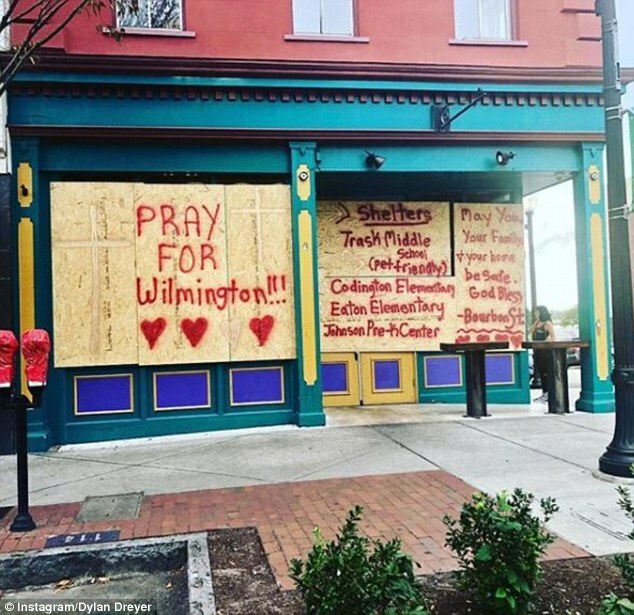 The storm will continue to edge its way across the Carolinas for days, according to officials, who warned there was far more destruction and human suffering to come. ‘It’s getting worse,’ North Carolina Gov. 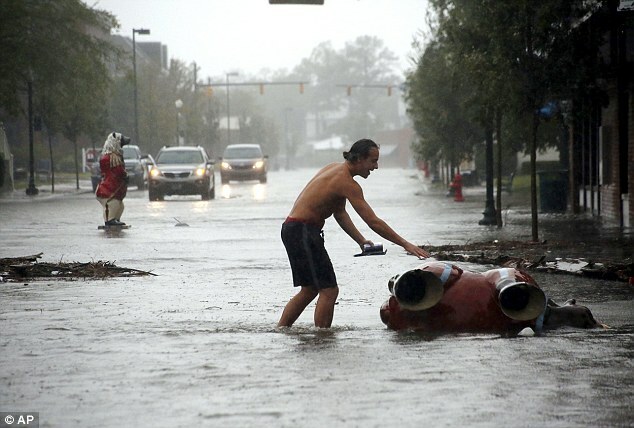 Roy Cooper said late on Friday morning, branding the rains a ‘thousand-year event’. Three inches of rain have been falling every hour. Over seven days, 18 trillion gallons of rain are expected to fall across the Carolinas and Virginia, Georgia, Tennessee, Kentucky, and Maryland. The wind speed has dropped slightly from 90mph when it made landfall to 75mph as of 2pm ET.